In 1964 Ms. Murray-Price began her formal ballet training with Duncan Noble at the Pittsburgh Playhouse School for the Performing Arts. With a family move to Northern Virginia she continued her studies at the Fairfax School of Ballet and was a member of The Fairfax Ballet Company under the instruction of school directors Thomas & Ilona Russell of National Ballet and under Frederic Franklin’s Artistic Direction. 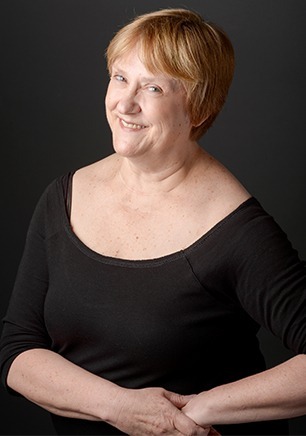 Kay attended Point Park College and was awarded a BA degree in Dance in 1978. During this time she was privileged to continue her classical training under Edward Caton, Jayne Hillyer, Kenneth Johnson, Leonide Massine, and Nicholas Petrov and her jazz training under Douglas Bentz and Ron Tassone. Kay was a member of the Point Park Dance Company (1974-1976) and the American Dance Ensemble (1976-1979, Artistic Directors: N. Petrov, K. Johnson, D. Bentz). During her time as a performer with the American Dance Ensemble she also served as Company Manager and Rehearsal Assistant. Kay occasionally appeared in Pittsburgh Ballet Theatre productions and with the Pittsburgh Opera. In the 1980’s Kay resided in NYC and continued her classical training under Wilhelm Berman, Melissa Hayden and David Howard. Ms. Murray-Price’s teaching experience began during her Senior year at Point Park College where she served as a student teacher and as a regular substitute for college level ballet technique, pointe and jazz classes. Upon graduation Kay was invited to join the Performing Arts Dance Faculty and taught college level classes in ballet technique, pointe, rehearsal & performance, and jazz as well as Community classes in children’s ballet and teen and adult jazz. With the advent of the fitness craze in the ‘80’s Ms. Murray-Price became interested in anatomy, physiology, injury prevention and rehabilitation and became certified in fitness and aerobics instruction and taught at the Vertical Club in NYC and Ultimate Bodies and Bodyworks Clubs in Queens NY. After marrying and starting a family in the 1990’s she moved to the Phoenix area and became a startup partner in a small Ahwatukee area dance studio. She began a formal ballet program there and continued to teach ballet, jazz, tap and fitness classes until 1998. This Ms.Murray-Price’s third year teaching at The School of Ballet Arizona.